A fire ravages your house, a short circuit damages your television, your living room is flooded, your computer has been stolen… For all these events and of course many others, we will put things back to how they were before the event occurred. Our aim is to ensure that your daily life reverts to normal as quickly as possible. CA Britline offers you a comprehensive range of policy options, including cover for main or secondary residences, as well as for properties that are to be let. We can also cover properties that are being constructed or are undergoing renovation work. 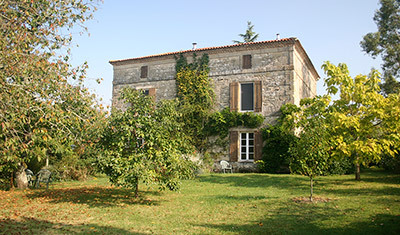 Policies include public liability cover, which can be extended should you have children who go to school in France. For more information please do not hesitate to contact us, or request a quotation on-line by clicking below. We will email you back a quotation within 2 working days of receipt. 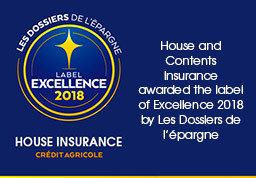 The house and contents insurance contract is provided by PACIFICA, the insurance company, subsidiary of Crédit Agricole SA. PACIFICA: Company regulated by the "Code des Assurances". Limited company with a consolidated capital of 252,432,825€ untied funds. Head office: 8-10 boulevard de Vaugirard - 75724 Paris cedex 15.352 358 865 RCS Paris. The events guaranteed and the conditons figure in the contract. This contract is issued by your regional head office Crédit Agricole Normandie, registered with the ORIAS as a broker. Crédit Agricole Mutuel de Normandie co-operative company with variable capital, approved bank – Head office situated 15 Esplanade de Brillaud de Laujardière – CS25041, 14050 CAEN CEDEX 4 – Registered in CAEN under the company number 478 834 930 - Brokering company registered on the « registre des intérmediares d’assurance » a 07 022 868.